God Is Watching Over You, written by P.J. 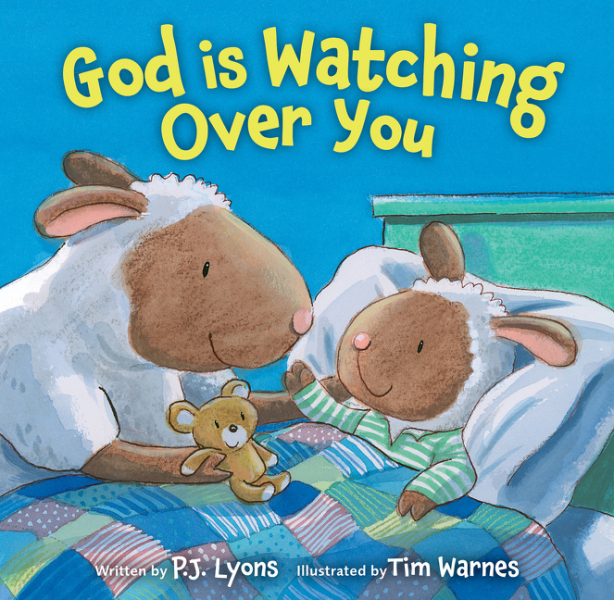 Lyons and illustrated by Tim Warnes, is a sweet and gentle bedtime rhyme that reminds us that God is taking care of all of us from above. 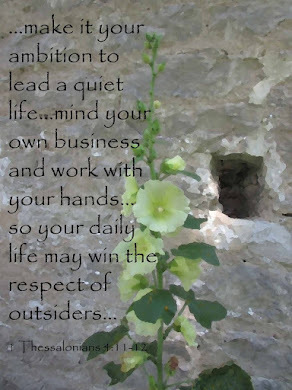 As a follow up to their bestselling Thank You, Lord, for Everything, P.J. Lyons and Tim Warnes have created a sweet and relaxing padded cover board book that tells the story of God's constant presence around you. 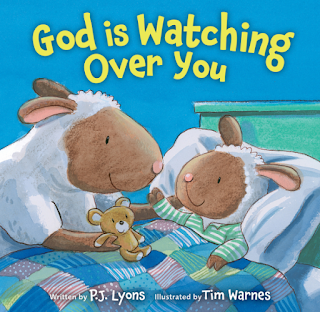 Meant to be read at night, when a child is warm and snug in their bed, the rhyming text and adorable illustrations in God Is Watching Over You gently remind us that God is constantly watching over us, protecting us, and caring for us. P.J. Lyons new book for little ones is the perfect example of how a child's night time routine can result in a peaceful sleepy time. I see this book as a good read for parents and children. Young children will love the bright and engaging illustrations by Tim Warnes and the delightful rhyme of the lamb's sweet day. Parents will enjoy sharing P.J. 's story with their little one as they put them to bed. And the comfort of knowing God is watching over them gives both child and adult a sense of security and peace. Reading is such an important element to raising children, especially when the story brings the truth of God to the listener. This would make a sweet gift for Easter or just a nice surprise for the end of the day. I received this book in exchange for a fair review.